Tomorrrow, Tuesday April 2, 2019 is World Autism Awareness Day. This will be the 12th time the celebrations are held since the United Nations General Assembly designated it through a resolution. Autism is a big concern globally and those affected either directly or indirectly suffer many challenges. This has prompted individuals and groups to come together in different parts of the world to form autism organisations. These organisations come together in different parts of the globe once a year to commemorate World Autism Awareness day. The events include special actions aimed at raising awareness and raising funds in unique ways. Even with these annual celebrations, many people around the world still do not understand all there is to know about autism. Autism is a spectrum disorder, meaning that there is a wide degree of variation in the way it affects people. Every child on the autism spectrum has unique abilities, symptoms, and challenges. Learning about the different autism spectrum disorders will help you better understand your own child, get a handle on what all the different autism terms mean and make it easier to communicate with the doctors, teachers, and therapists helping your child. It must be reiterated that Autism is not a single disorder, but a spectrum of closely related disorders with a shared core of symptoms. Every individual on the autism spectrum has problems to some degree with social skills, empathy, communication and flexible behaviour. But the level of disability and the combination of symptoms varies enormously from person to person. In fact, two kids with the same diagnosis may look very different when it comes to their behaviour and abilities. If you are a parent dealing with a child on the autism spectrum, you may hear many different terms including high-functioning autism, atypical autism, autism spectrum disorder, and pervasive developmental disorder. These terms can be confusing, not only because there are so many, but because doctors, therapists, and other parents may use them in dissimilar ways. Part of the reason it is so hard to separate mental illnesses from autism is that autism is still not fully understood and appears different in each person. One person’s autism is nothing like another person’s autism. What it means is that a programme, classroom, therapy or social group event that works beautifully for one autistic person may be an utter disaster for another person with the identical diagnosis. But no matter what doctors, teachers, and other specialists call the autism spectrum disorder, it’s your child’s unique needs that are truly important. No diagnostic label can tell you exactly what challenges your child will face. Finding treatment that addresses your child’s needs, rather than focusing on what to call the problem, is the most helpful thing you can do. You don’t need a diagnosis to start getting help for your child’s symptoms. In both children and adults, the signs and symptoms of the autism spectrum disorders include problems with social skills, speech and language, and restricted activities and interests. However, there are enormous differences when it comes to the severity of the symptoms, their combinations and the patterns of behaviour. Keep in mind that just because your child has a few autism-like symptoms, it doesn’t mean he or she has an autism spectrum disorder. 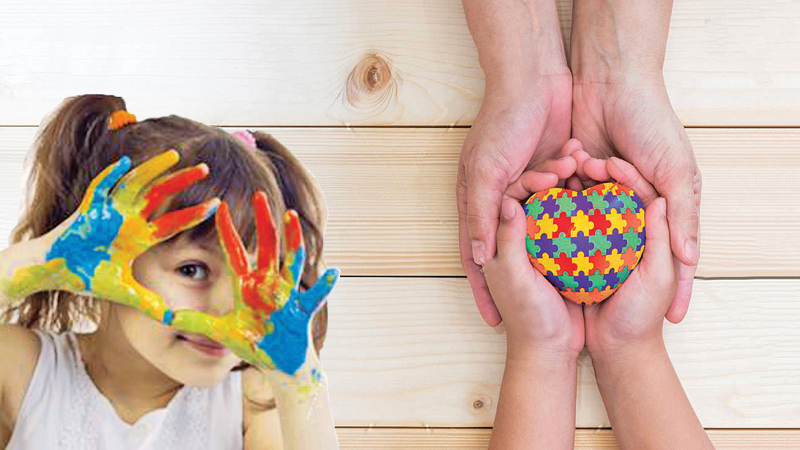 The autism spectrum disorders are diagnosed based on the presence of multiple symptoms that disrupt your child’s ability to communicate, form relationships, explore, play, and learn. Whether it’s at school, work or in social settings, people with autism are often misconceived. They often suffer discrimination, intolerance and isolation, resulting in many feeling excluded from everyday society. We should all know better than to say "Really? He seems so normal." Those phrases do not comfort, they simply insert an opinion when our opinion was not asked. Parents facing an ASD diagnosis do not want unsolicited advice or pity. They do not want you to minimize their feelings or give false hope. They want you to listen. They want you to care. They want you to stay in their lives and not brand them as special needs parents. They want you to understand that although their lives might be taking a different turn, they still need friends. Their children still need friends and subtle support. Then what the heck do you say to these people? Sure as a counsellor I too was at a loss for words. Even as a professional wordsmith I could not find the right words. Then like a bolt from the blue it came to me. The two simple and perfect words you can say: "I'm here." And mean it. Mean it through every struggle, every victory and every passing day. Mean it on the days when autism is all they can talk about and on the days when they need an extra set of hands. Mean it when you are making out the list of which children to invite to your child's birthday party. They don't need you to be an expert on autism. They don't need you to always say the right thing. Now, more than ever, they need you to just be there.